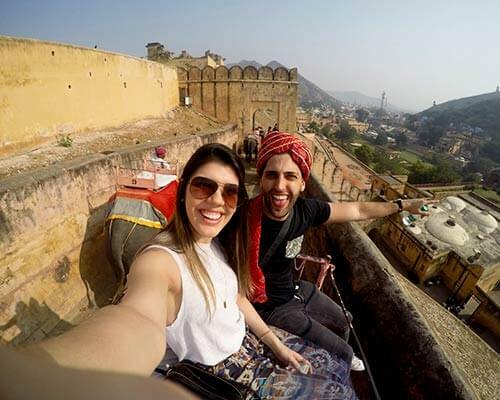 A candlelit dinner on a royal palace’s terrace; a lazy walk in a windy garden; or sipping your favorite drink in a rooftop restaurant with spectacular views of the pink city, there are many things to do and plenty of private places for couples in Jaipur that are quite interesting and let you have some great time together. 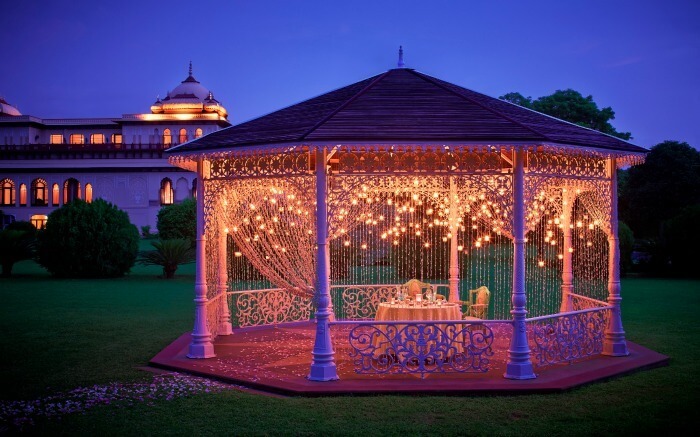 This little guide to some of the most romantic private places in Jaipur will help you find a place where both of you can enjoy the romance in the air of the town. Forresta Kitchen & Bar is certainly one of the most happening and romantic places in Jaipur for couples for a picture-perfect dinner date. 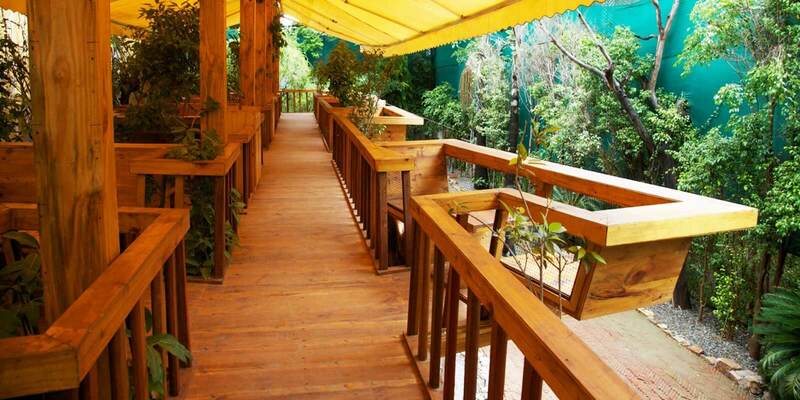 This forest theme restaurant with tree caves, water sprinklers, and artificial greenery attract couples who are planning to hangout in a quirky place like this. Live music band and in-house jazz music enhance the charm of the evening, especially when you are on a date. 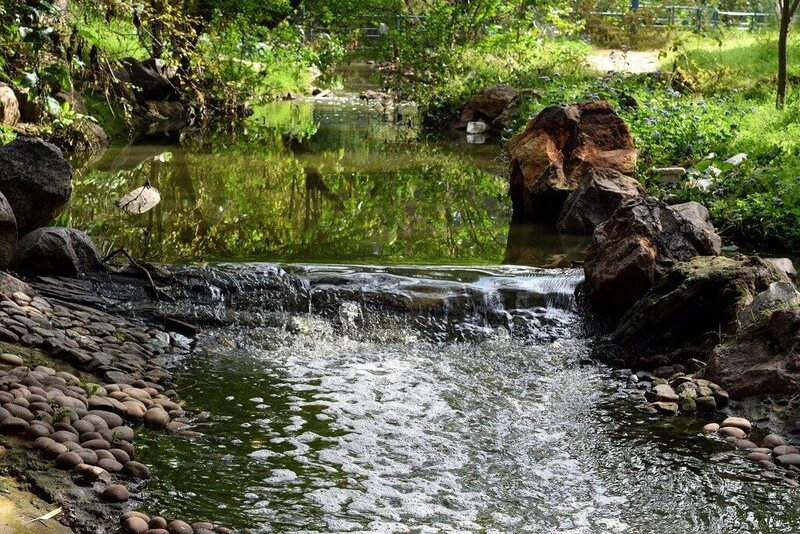 If you are looking for some really intimate moments, visit Smriti Van—a tranquil biodiversity park in Jaipur. 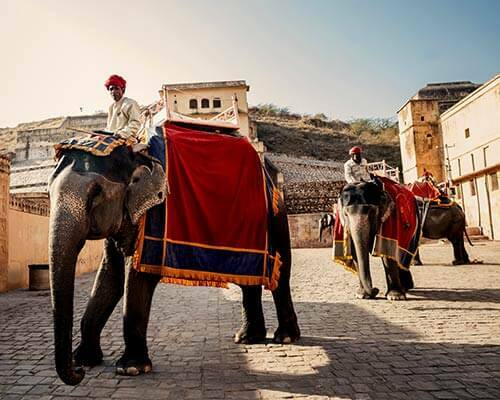 This is one of the most sought after places to visit in Jaipur for couples to experience pure bliss. Stroll the garden, walk, talk, laugh and spend a quality time. 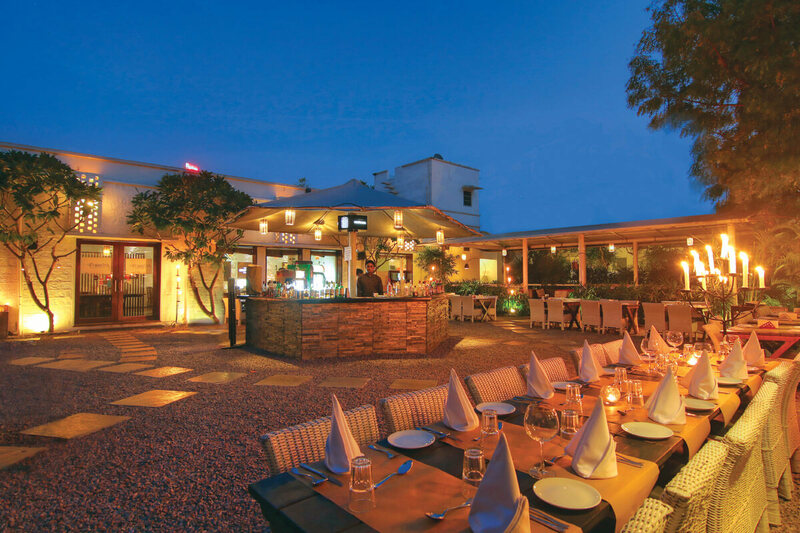 One of the most happening and buzzing places to visit in Jaipur for couples—Wassup Restro and Lounge is a dating paradise. The offbeat ambiance with dining seats under the tree and the one of its kind décor allure couples to spend some magical moments, chit chat, dance to the Bollywood tunes, and try mouthwatering cuisine. Located on the outskirts of the Pink City, Samode Palace demonstrates elegance and regal styles in the décor, theme, architecture, upholstery, furniture, and services. Plan your romantic stay in this intricately designed 475 years old palace, which is the most desired private places for couples in Jaipur. It feels almost magical to steal some intimate moments on the terrace garden, enjoy the sunset together, and rejuvenate at the luxurious spa with your partner. If nothing else, indulge in sheer romance in the Royal Suite at Samode Palace coupled with a private courtyard. 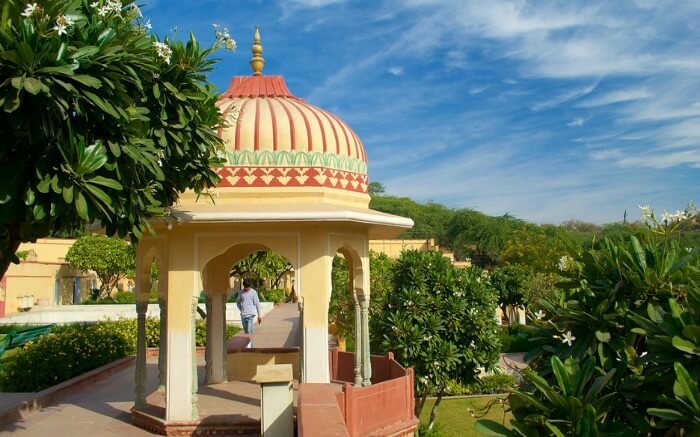 As one of the most serene and best places for couples in Jaipur—Sisodia Rani Ka Baag is a well-maintained manicured garden, built in 1728 as a symbol of Maharaja Sawai Jai Singh’s and Rani Sisodia Jai Singh’s eternal love. With flowerbeds, foliage, beautiful water fountains, pavilions, galleries, iridescent water channels, and murals, the garden offers ample opportunity to love birds to take romantic strolls and chat their heart out. Suggested Read: Get The Rajasthani Bohemia On! 10 Amazing Shopping Places In Jaipur To Explore In 2019! For a cuddle-some stay and a regal experience with your partner, we recommend you to book at Rambagh Palace—the most spectacular heritage hotel in Jaipur. Known as the former dwelling place of queen’s handmaiden—this property speaks of luxury and heritage. 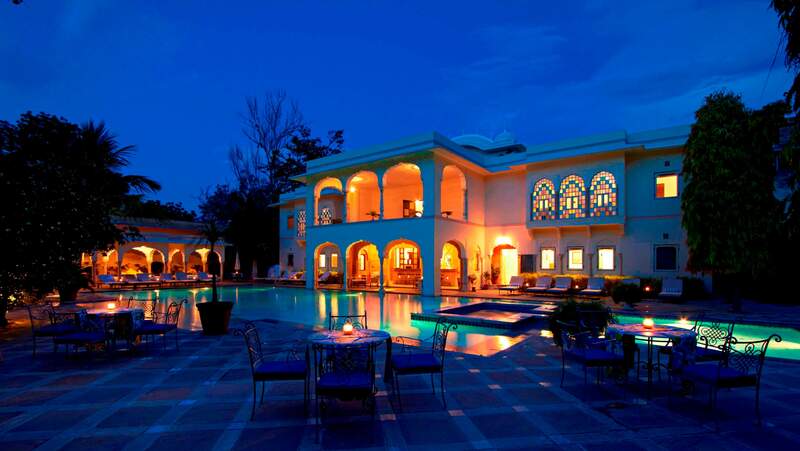 The stunning place is also listed among the best resorts in Jaipur. 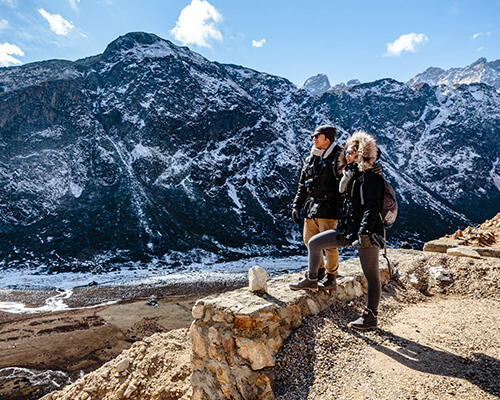 Stay at exotic Rajmata Gayetri Devi suite with the most special person of your life to enjoy signature experiences like grand welcome with decorated camels, horses and elephants, and a heritage walk around the palace to know the rich history and culture. If you love modern restaurants with a hint of traditional cuisine, then there’s no better way to spend some time together in Jaipur than going for a dinner date at The Terrace Grill—located in Hotel Park Prime. 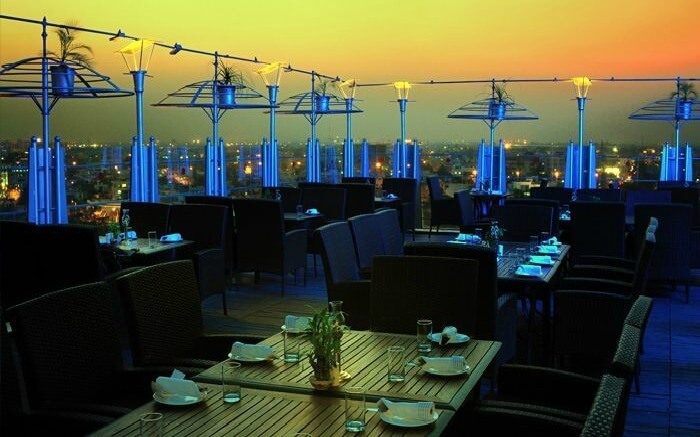 This barbeque specialty rooftop restaurant is one of the best private dating places in Jaipur and you can cherish an alfresco romantic dinner under the starry sky. 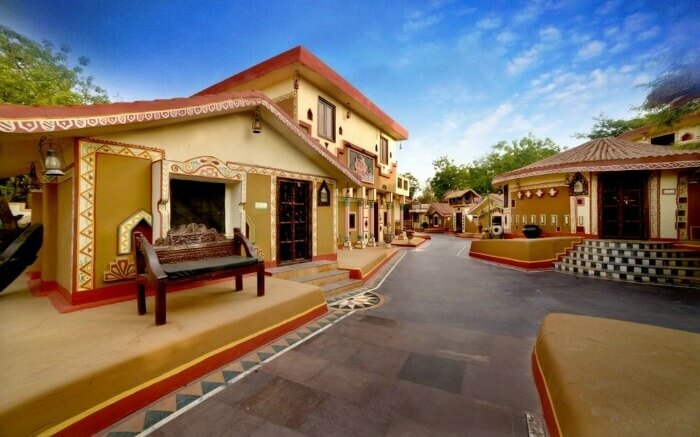 Get engrossed in Rajasthani colors and vibrancy with your partner at Chokhi Dhani. 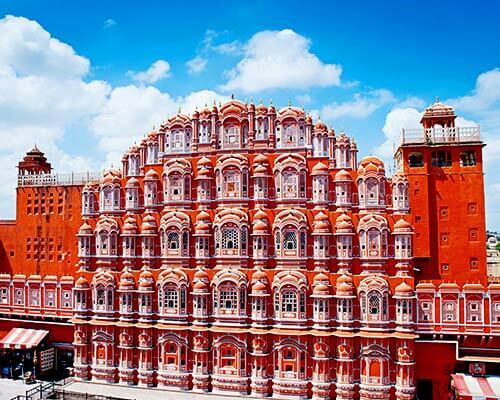 It is one of the most happening and lively places to visit in Jaipur for couples. 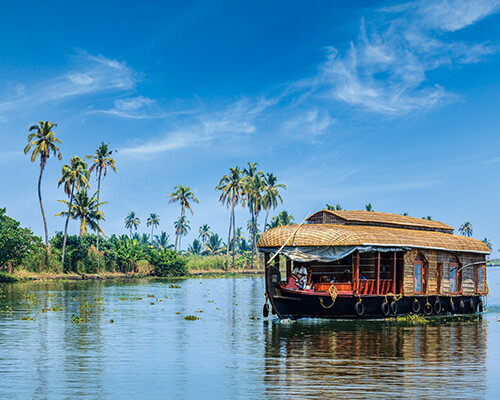 With puppet shows, folk dance performances, acrobatics, camel and elephant rides—the village resort offers everything to make travelers happy and feel delighted. 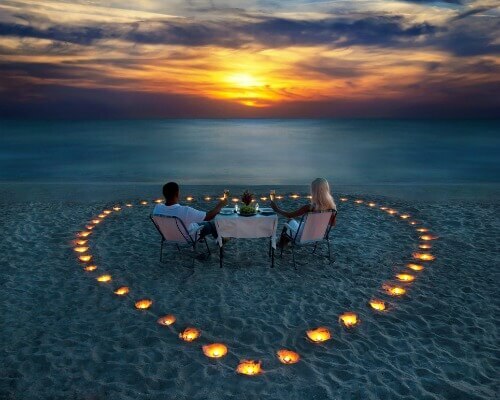 One of the romantic places in Jaipur for couples is Padao. 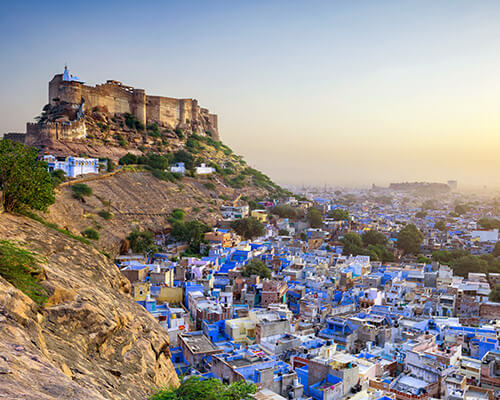 It is famous not only for its awe inspiring location, but also the stunning and jaw dropping view of the Pink City. 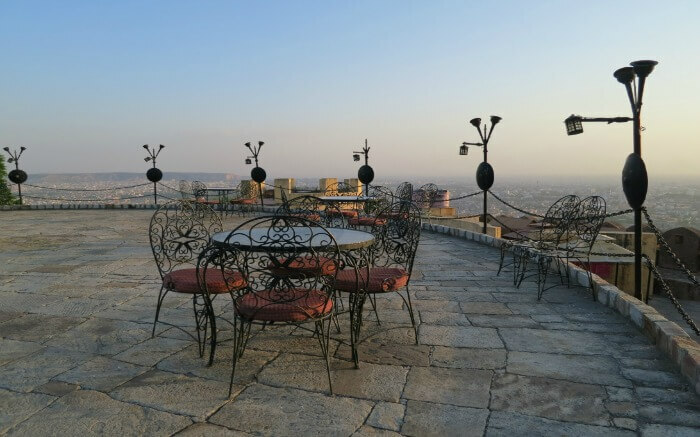 With the royal Nahargarh Fort in the background, this RTDC restaurant is snuggled at the highest point of the fort and can be reached in 5 minutes (walking) from the parking space. 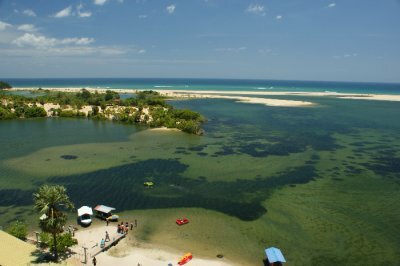 The eatery is located at a secluded location, which makes it perfect for couples who wish to be together for some private moments. Entry fee: Padao is located inside the fort area. You need to pay INR 5 for Nahargarh Fort entry. 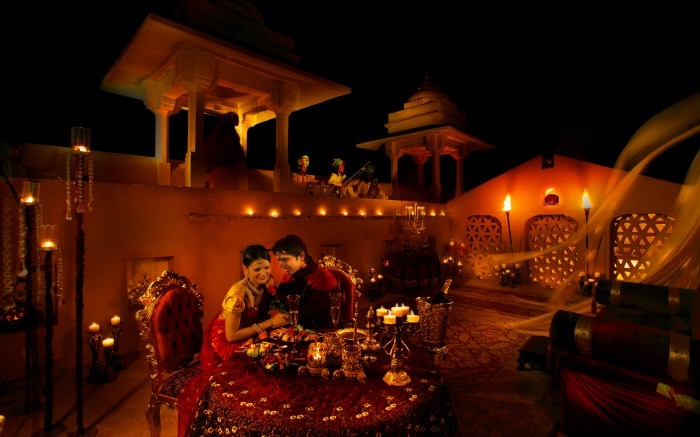 If you are planning for a heavenly dinner with your darling, then nothing can beat the royal restaurant called 1135 AD at Amber Fort. The place offers incredible and authentic royal cuisine like Murgh Sula, Goolar Kebab, Laal Maans, and Maans ke Soweta etc. The glamorous thematic décor with upholstery and furniture matching the charm enhance the ambiance of the restaurant. 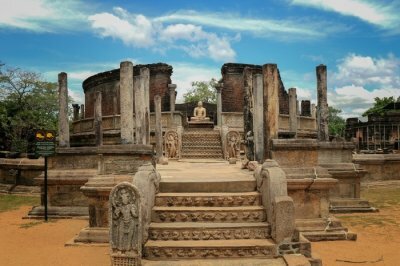 The premise is divided into Shahi Aangan, which is an open air area; Swarna Mahal, which is the main restaurant; and Diwan E Khas, which is the boardroom for corporate meetings. Don’t miss: Luxury private candle lit dining at Sheesh Mahal. The palace is decorated with dazzling silver and golden artwork. Entry fee: The restaurant is inside the fort premises. 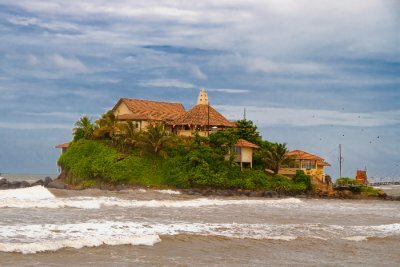 So you need to pay the fort entrance charges, to reach the restaurant. The entry fee is INR 25 for Indians and INR 200 for Foreigners. Hopefully this little guide will help you find out your kind of romantic places in Jaipur. So, whenever you are visiting Jaipur with your partner, keep these points in mind. 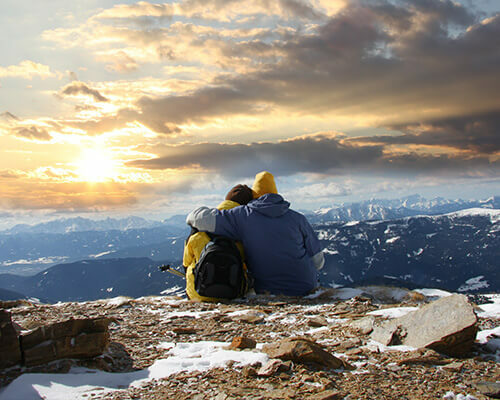 Now, whenever you plan your next romantic vacation in Rajasthan, you’ll know where you are going to find the peace and romance you’re looking for.